Email marketing is still the single most effective tool to stay in touch with your loyal readers and valued customers. Every professional blogger should spend time building and nurturing their email list. Having an email list is important because it gives you a direct way to communicate and advertise to those who have expressed an interest in what you have to offer. There are many considerations to make when emailing your list of subscribers to make sure that you make it into their inbox each week. 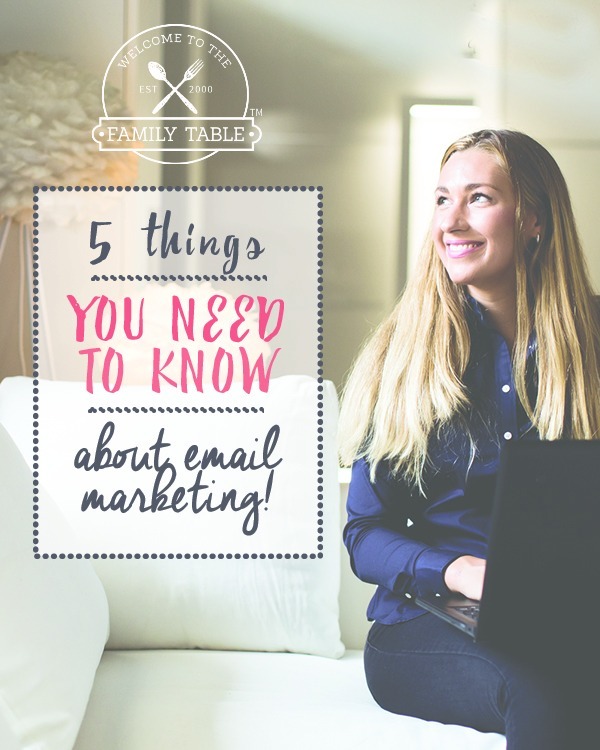 Today I am sharing 5 things you need to know about email marketing to ensure it is a success for both you and your email subscribers. If you are careful to follow these recommendations, you will be on your way to a successful email marketing adventure. If there is only one thing you get from this post, learning to provide value for your email subscribers is at the top of the list. Your email list has trusted you with a direct line into their busy lives — use it wisely. Don’t just collect emails to “sell” your list something; offer them valuable information or tools to help them solve problems in their lives. The subject line of your email marketing campaign is as vitally important as the headline of a blog post. Be certain the subject line effectively states what your email is about and compels the recipient to open the email without a second thought. With every email marketing campaign you should write out and set measurable goals. Most email marketing platforms allow you to do to an A/B test so that you can determine which subject line performs better. 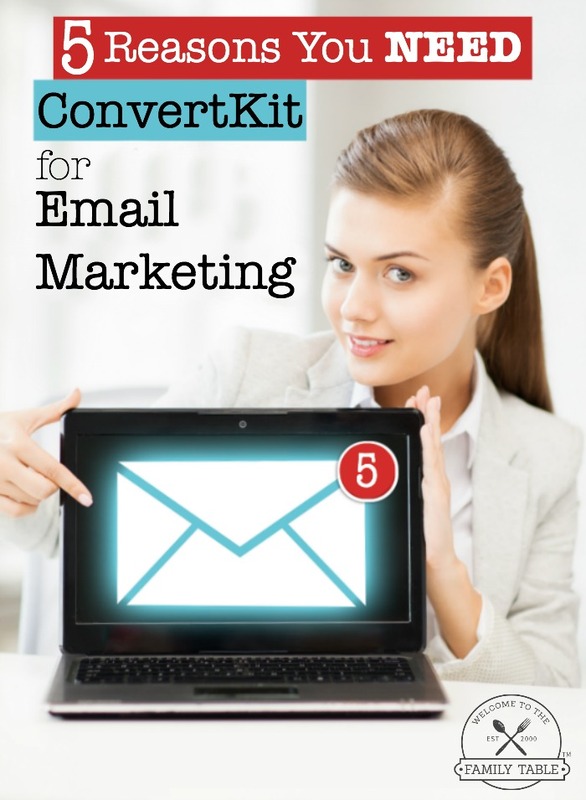 Our email service provider, ConvertKit offers this as an easy, built-in feature. They will send two different emails with two different subject lines to 15% of our list. In a 4-hour period they will determine which subject line does better and send the reset of the emails to our list. Genius. Use A/B testing to your advantage to learn your list. Try to avoid Mondays and Fridays when it comes to sending out your email marketing campaign. Most people have a ridiculously full inbox on Monday and Fridays they are less likely to open your email because they are simply done with their work week. Use the information from your A/B testing to find the time when most people open and click through your emails. 5. Avoid Using Rich Media – Try to avoid sending rich media in your emails. If you use too many images in relation to text, your email will automatically be marked as spam. You never want this to happen as in some cases you can no longer send out emails through your email service provider once you’ve been marked as spam. While there are many considerations to think about when using email marketing, the 5 things mentioned above are a great start. I encourage you to always put the needs of your list at the top of the priority list so you can serve them well. Don’t ever take for granted that your list has trusted you with an direct line into their precious lives. Always remember what an honor it is to connect with others and you will see your business flourish!